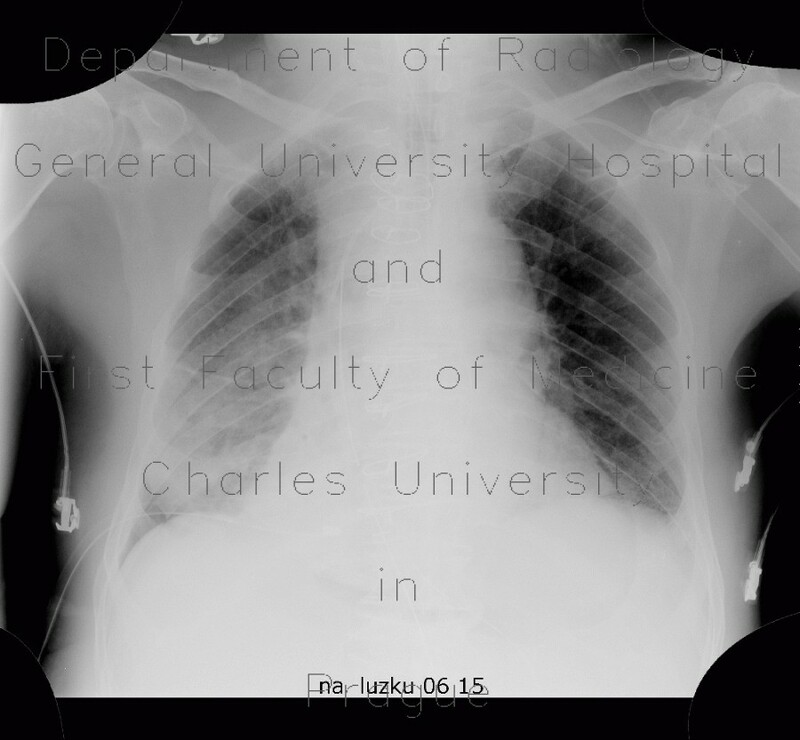 Chest radiographs show a patient, who underwent cardiac surgery. This patient has sternum sutured by wire loops. The left heart border has a double contour with a thin lucent stripe between that represents air in pericardium. Note also orotracheal tube in correct position and airspace shadowing in the right middle to lower lung area.